1. Tell stories. Let us get to know you. Not just your plans for the office/organization, but who you are as a person. 2. Use cards for an outline, but don't read them word for word. If you memorize your speech, make sure you can recall it under pressure. Practice to perform, don't practice just to memorize. 3. Only use 90% of your time. 4. Look audience members in the eye. Maintain. Pick a new person. Repeat. 5. Have a clearly defined outline. 6. Be specific. Instead of saying "I have done many things", tell us specifically what you have done. 7. Show us your personality and your professionalism. 8. Say a version of the word "you" more than you say a version of the word "I". Talk about the audience's real needs that are being served by involvement in the organization and speak to how you will help further serve those needs. 9. Be specific with your ideas for the future, but don't give too much information. 10. Build on current successes. Don't knock down the way it is. - Posted from the road using my iPhone. How do you know if they learned anything? Leadership skills fall under both the very concrete and very intangible categories. I can tell if you can stand up and clearly communicate a message. I can't necessarily tell if you have a deep empathy for those around you. This is why we (the creators of the PLI leadership curriculum) developed the TRAX system. It is a simple, yet profound mechanism for measuring the seemingly immeasurable. Try this on the next time you are teaching/training/coaching leadership. You can use it at the first for you to determine how deep you plan on taking your group. It was built specifically for use at the end of a learning session to grade their leadership development. T - Entry Level - The student demonstrates she has heard of the topic. Proof is a written description of the leadership skill using her own words. R - Emerging Level - This level is reached when a student understands the content. He provides written positive and negative examples of the leadership trait in the real world. What would someone look/sound/feel like if she mastered this skill and if she were totally ineffective? A - Engaged Level - This grade is given when a student demonstrates he actively lives the skill. He must provide written evidence of application. X - Expert Level - Mastery level is shown when the student teaches the skill to someone else. The proof here is a written testimony from someone the student taught and/or actively led. The beauty of the TRAX system is the journey it places in front of both the teacher and student of leadership: awareness leading to understanding leading to application leading to teaching. 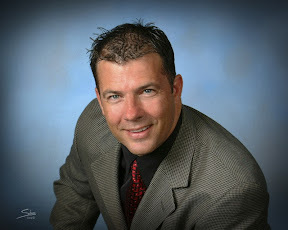 My mentor in the speaking business is Mr. Bill Cordes (www.billcordes.com). Bill is not only a great friend of mine (he asked me to be the Godfather of one of his sons), he is also a phenomenal speaker, trainer and teacher. Spend more time entertaining and inspiring and less time informing and educating. A keynote is supposed to move people to get the "why" inside ideas, beliefs and concepts not the "how" of strategies, techniques or processes.